John Flucke's Blog - Ramblings of Dentistry's Technology Evangelist: ReBit Backup - A Time Machine for Windows? 3. Everything gets backed up and organized with little or no intervention on from the user. Now from CES (Consumer Electronic Show) comes ReBit for Windows. The device is rumored to be a very similar system for the user of Windows based PC's. When your hard drive crashes, you lose a lot more than data. Rebit protects everything with complete computer backup. In one instant, your important documents and information, including entertainment files, photos, video, mp3s and financial programs can be lost. But you also lose your operating system, applications, software, settings, bookmarks, drivers and configuration settings. The Rebit hard drive backup system automatically works to save your entire computer environment when you plug it in. Transparently, and continuously. The Rebit back up hard drive is always working so yourbackup files are always up-to-date. Any recent changes you've made, programs you've installed, or documents you've saved are reflected in the current back up hard drive. You never need think about what type of data you want to protect, Rebitis always the perfect defense. Ranging from 80 GB to 500 GB, you can be sure Rebit will backup all of your data, and Rebit PC backup makes room for the most recent documents so the drive is always current and never fills up. 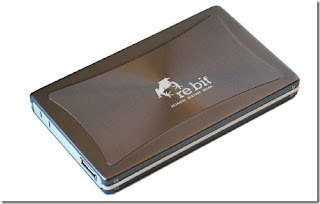 Rebit PC backup is an external hard drive that can be used to backup a desktop or a laptop PC. It simply sits next to your computer, plugged into a USB port and automatically backing up your data and your entire PC continually, and without any effort. In my opinion, this looks to be a nice way to keep yourself free from worry. However, i've had no personal experience with the device. More info from the company website. a real windows version of time machine is genie timeline.. ive been looking for something like this forever and its finally here! PC users can now also enjoy the comfort of automatic bakcups with versioning.. and can too follow the set it and forget it concept! Softech, Inc., maker of DenTech practice management systems and provider of Dental Technology Solutions, has been promoting internet access for all DenTech users. This move will make it easier to provide quick and efficient resolutions for client systems and will open offices to revenue enhancing Automated Electronic Services such as eClaims, eBackup, eUpdate, and Epayment. Has anyone tried the Rebit Backup on a dental office network? Just curious as to whether or not my system was unique. I hooked mine up and it "locked up" my system. Rebooted a couple of times, then I got an error message saying the backup drive had corrupt data and could not be used. I'm using a server/client setup with 7 workstations.I want to backup the "server" which has all of our data and images. (Dentrix G4 and Image 4.5)I love the idea of continuous backup, but couldn't get mine to work....Any thoughts anyone?